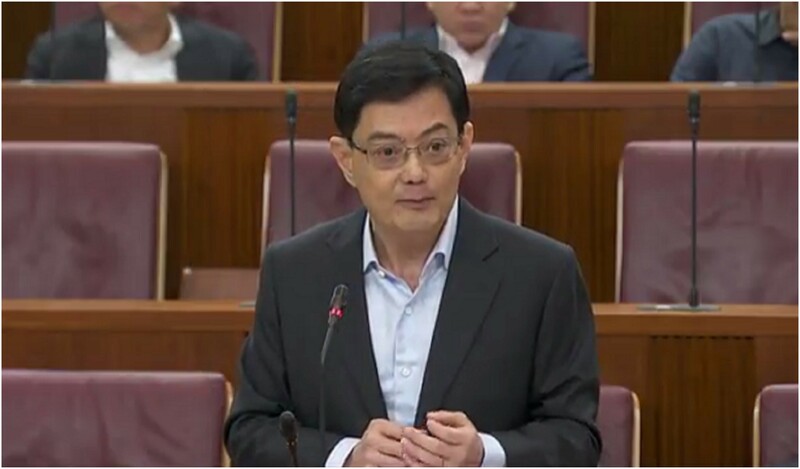 Buzzwords such as “adaptability”, “innovation” and “partnership” were used frequently throughout Finance Minister Heng Swee Keat’s Budget speech earlier today. Delivering his second ever Budget speech, Minister Heng emphasised the need to build capabilities and partnerships to foster an innovative and connected economy. Describing enterprises as the “heart of vibrant economies”, he talked about the importance for our enterprises to develop deep capabilities in order to stay competitive and grow. To achieve this, businesses need to use digital technology, embrace innovation, and scale up, he added. The government will enhance ‘Adapt and Grow’. This initiative was launched last year to help workers looking to take on new jobs. Wage and training support provided under the Career Support Programme, the Professional Conversion Programme and the Work Trial Programme will be increased. An “Attach and Train” initiative will also be introduced to secure attachments, rather than full-time positions, for workers to train themselves for jobs of the future. The Wage Credit Scheme will continue to help firms cope with rising wages. More than $600 million are expected to be paid out to businesses next month, and roughly 70% of this amount will be to SMEs. The Special Employment Credit will continue to provide employers with support for the wages of older workers till 2019. More than $300 million, which will benefit 370,000 workers, will be paid out in FY2017. The SME Working Capital Loan, where the Government co-shares 50% of the default risk for loans of up to $300,000 per SME, will be available for the next two years. Minister Heng shared that this initiative has seen good take-up since its inception in June 2016. More than $700 million of loans have been catalysed so far, which means that 2,000 or so SMEs have benefited from this. The Government will enhance the Corporate Income Tax (CIT) Rebate by raising the cap from $20,000 to $25,000 for YA2017. The rebate will remain at 50% of tax payable. The CIT rebate will be extended for another year to YA2018, at a reduced rate of 20% of tax payable, capped at $10,000. The enhancement and extension will cost an additional $310 million over YA2017 and YA2018. The Additional Special Employment Credit will provide more support for firms hiring older workers. The re-employment age will be raised from 65 to 67 years, with effect from 1 July 2017. To encourage employers to continue hiring workers who are not covered, this initiative will be extended till end-2019. Under this scheme, employers will receive wage offsets of up to 3% for workers who earn under $4,000 per month, and those who are not covered by the new re-employment age. Employers will receive support of up to 11% for the wages of their eligible older workers. This extension will benefit about 120,000 workers and 55,000 employers, and will cost about $160 million. SMEs Go Digital Programme will help SMEs to build digital capabilities. SMEs will get technology advice at each stage of their growth through the sectoral Industry Digital Plans. Sectors where digital technology can significantly improve productivity such as retail and food services will start first. SMEs will also get in-person help at SME Centres and a new SME Technology Hub that will be set up by the Info-communications Media Development Authority (IMDA). SMEs that are ready to pilot emerging ICT solutions can also receive advice and funding support. More than $80 million will be made available for these programmes. A*STAR Operation and Technology Road-mapping. A*STAR currently works with firms to conduct operation and technology road-mapping to identify how technology can help them innovate and compete. A*STAR will expand its efforts to support 400 companies over the next four years. A*STAR Headstart Programme allows SMEs to co-develop Intellectual Property with A*STAR to enjoy royalty-free and exclusive licenses for 18 months in the first instance. In response to industry feedback, this will be extended to 36 months. For companies seeking access to intellectual property, Intellectual Property Intermediary, a SPRING affiliate, matches them with IP that meets their needs. It will work with the Intellectual Property Office of Singapore (IPOS) to analyse and bundle complementary IP from Singapore and overseas. A*STAR Tech Access Initiative supports companies in the use of advanced machine tools for prototyping and testing, which may require costly specialised equipment. A*STAR will provide access to such equipment, user training and advice under this initiative. The Government will commit up to $600 million for a new International Partnership Fund. The Fund will co-invest with Singapore-based firms to help them scale-up and internationalise, he explains. This could be game-changing for local companies looking to grow through acquisitions overseas. SkillsFuture Leadership Development Initiative aims to groom Singaporean leaders by expanding leadership development programmes. This includes sending promising individuals on specialised courses and overseas postings. For a start, the programme will target 800 potential leaders over three years. A Global Innovation Alliance will be set up for Singaporeans to gain overseas experience, build networks and collaborate with their counterparts in other innovative cities. It will have three programmes: Innovators Academy for tertiary students, Innovation Launchpads for entrepreneurs, and Welcome Centres for innovative foreign companies. The Alliance will be initially launched in Beijing, San Francisco and various Asean countries. Increased Accessibility Of Training For All Singaporeans. To enhance training that is more accessible, the Government will offer more short, modular courses, and expand the use of e-learning. Funding support for Singaporeans to take approved courses will continue to be available through SkillsFuture. In addition, union members can get subsidies for selected courses through the NTUC-Education and Training Fund. $150 million has been set aside to match donations to the Fund. National Jobs Bank will be made more useful for jobseekers and employers, as it works with private placement firms to deliver better job matching services for professionals. Employers and Trade Associations and Chambers (TACs) are also encouraged to develop training programmes for their workers and the industry so as to receive funding support from SkillsFuture Singapore. Industry Transformation Maps brings together TACs, unions, and the Government to transform each sector. 23 sectors have been identified, covering 80% of the economy. Six has been launched so far, and the remaining 17 will be launched in FY2017. The Government will top up the National Research Fund by $500 million to support innovation efforts, while the National Productivity Fund will be topped up by another $1 billion to support industry transformation. $2.4 billion will be set aside over the next four years to implement the CFE strategies. As Minister Heng laid out the measures for our economy and society, he mentioned that it is important for Singapore to take on a “learning and adaptive approach” – to try new methods, continue with them when they work well, cut losses when they do not, and draw on feedback and experience to adjust and refine the plans. “That is the Singapore way”, he added. So this concludes the round-up of the most important announcements regarding SMEs and the startup ecosystem in Singapore. Did this year’s Budget meet your expectations? Share with us your thoughts in the comments section below.